When I get the itch to bird and can’t embark on an out of town sortie, I go to nearby Coastal Lagoon to get my fix. There, less than an hour drive from where I live, common water birds abound and I try to catch them in action to make the photos a bit more exciting. This Little Egret obliged me on one such quickie birding. Habitat: Coastal marsh and tidal flats to ricefields. Shooting Info – Coastal Lagoon, Manila Bay, Philippines, September 17, 2010, Canon 1D MIV + EF 500 f4 L IS + Canon 1.4x TC II, 700 mm, f/7.1, ISO 400, 1/1600 sec, manual exposure in available light, 475B/3421 support. 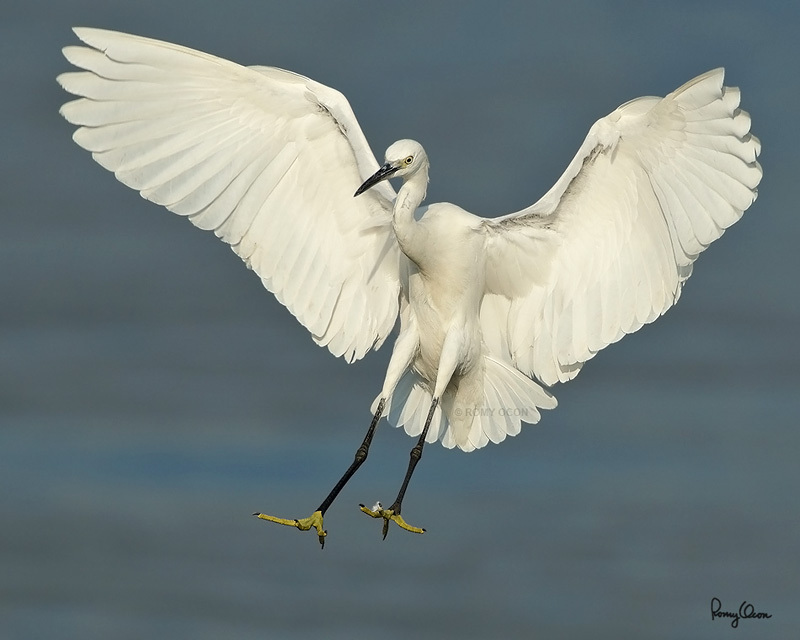 Manila Bay’s Little Egrets (short video).